A bit of an odd one really. The staff didn't really seem too interested in the guests, more about local gossip and disputes, and the entire place felt quite flat. From the dock, take your first left and after 2 minutes on the dirt-road, the hostel is clearly marked. San Marcos is a small village and the hostel is in a convenient enough spot. 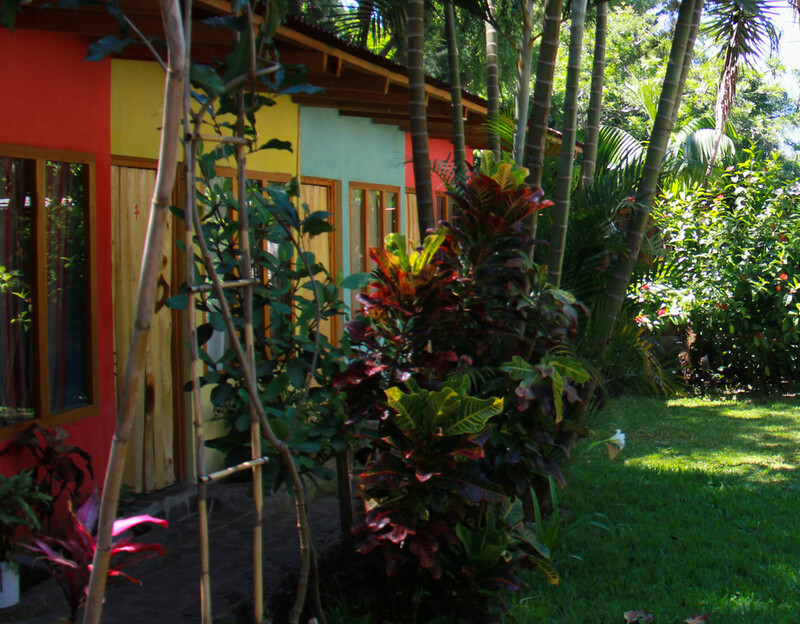 The hostel is well landscaped, with a lovely garden area, and well-designed rooms. The mattress in our room (#6), was the best we've experienced in three months and made for a wonderful nights rest. The shower/toilet facilities. Most rooms do not include a private bathroom, yet the hostel owners have provided only one shower and one toilet – both in the same small room. Although this was not too problematic during our low-season stay, this would be far from ideal or practical when the hostel is full. The toilet paper basket (which houses all manner of goodies in Guatemala) remained full and over-flowing for our entire two-night stay, causing a less than delightful stench. Additionally, the 'hot-shower' is only as such when the water pressure is turned down to the point that you are standing under a dribble. Given the limited budget choices on San Marcos, Hostel San Marcos is a decent enough option, especially considering the good-quality breakfast included in your room price at a local restaurant (Restaurant Fe). Short-term backpackers on a budget. The pancakes are by far the best option in the free breakfast! Wi-fi, garden, bar, hot showers (term used loosely), free breakfast.